This very rare brass frame Tranter pistol was made in England in the 1880's in caliber .22 short (marked .230 cal). 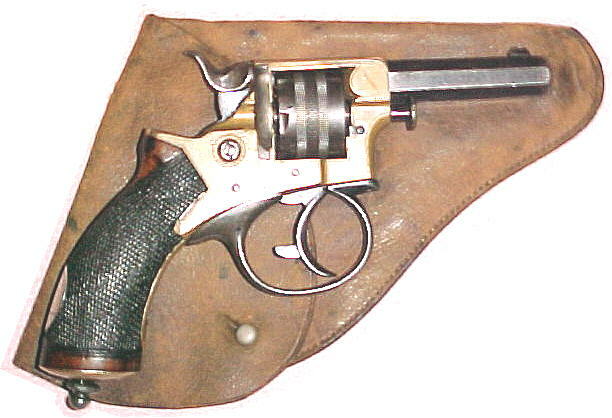 This 7 shot revolver has a removable ejection rod stored in the grip. It is accompanied with an original period leather pocket protector holster with loops for wearing on belt. 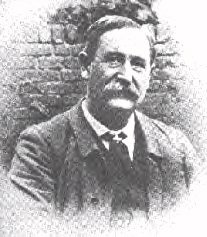 Chief Inspector Donald Swanson was in charge of the "Jack the Ripper" case. He led all the investigations, interviewed all the suspects and witnesses, and organized all the evidence. Short History of "Chief Inspector Donald Swanson"
1868 : Apr 27 - Joined Metropolitan Police, warrant number 50282. 1882 : Achieved the rank of "Inspector", was he gifted this gifted this Tranter revolver upon promotion? 1887 : Nov - Achieved the rank of "Chief Inspector", CID, Scotland Yard. 1888 : Aug 31 - selected to head the " Jack the Ripper " case by Robert Anderson, Assistant Commissioner for Crime in England. 1896 : Promoted to Superintendent, Scotland Yard. 1897 : Involved in a crackdown on male prostitution. 1903 : Retired. --- writes "MEMOIRES" --- Most notably, Swanson wrote that "...the suspect (Jack the Ripper) was sent to Stepney Workhouse and then to Colney Hatch and died shortly afterwards - Kosminski was the suspect." (Swanson Marginalia c1910-1924). A newspaper article reported that "... Mr Swanson believed the crimes to be the work of a man who is now dead." 1924 : Nov 24 - Dies at 3 Presburg Road, New Malden, Surrey. Buried at Kingston Cemetery. Swanson was a close friend of Robert Anderson his "Old Master". Melville Macnaghten called him "a very capable officer"
Was this the revolver that was carried in Swanson's pocket while searching the dark streets of London? Scotland Yard's primary crime pursuit lasted over 5 years in search of the identity of the notorious "Jack the Ripper." 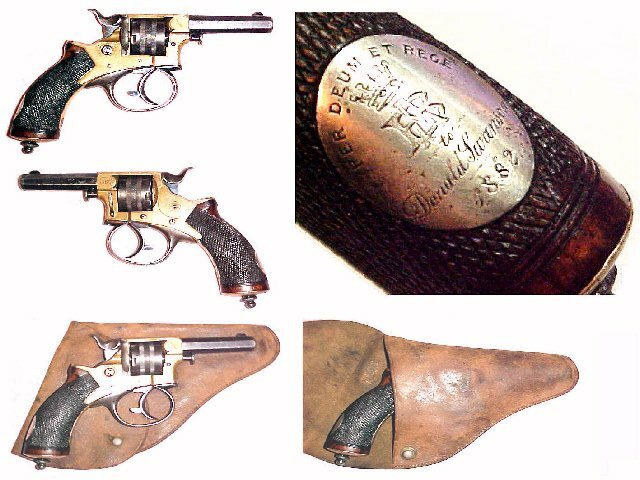 There is much mystery regarding this little revolver with some recent evidence uncovered that indicates the Silver oval escutcheon was added at a later date. Perhaps this monogram was originally on the cover of the display box housing this revolver. Perhaps the grip became mixed from that of another similar revolver, or perhaps its is entirely spurious. But what ever the case may be, the 1882 dated Silver oval appears Old and Authentic in its own right. For this reason, this Tranter revolver has been reduced in price, and is being sold "as-is" with no additional provenance.